This restaurant, http://www.restaurant-cuinaria.be , is placed just outside the city center of Antwerp in the part called Merksem. My parents were very enthusiastic about this restaurant because they went here a week before, and they really wanted to show the quality and atmosphere. When you enter this restaurant it immediately feels like a warm and typical high class restaurant. With all the tables nicely set, warm carpentry on the floor, unique bottles of Whisky on the counter etc. Typical ” old school” style warm restaurant. 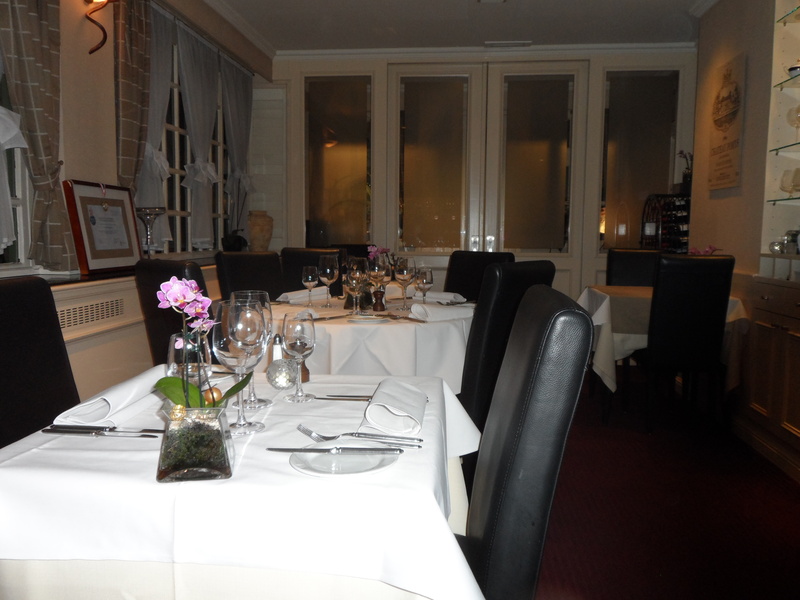 We were also greeted nicely so everything was set for a great evening out. It looked very pleasant being brought to the table. So I was wondering what it was. The nice waiter explained it was a smoked duck with pineapple mouse, sort of mini meatloaf (in Dutch a mini worstenbrood) and a vegetable consomme. 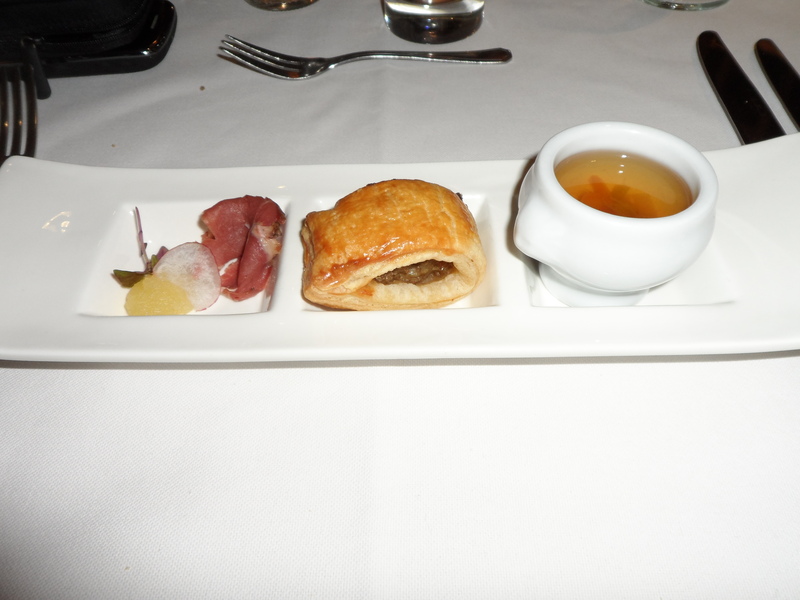 And as I have always learned, an amuse should be amazing, a perfect starter making you wonder what more tricks the chef has up his hat… This for me was a big miss. The duck was nice but basic, just a slice bought somewhere in stead of home smoked, the combination with the pineapple was good, by far the best of the 3 tastings. Because the meatloaf was so standard, no special taste, a bit dry and something everyone can easily make at home. The same I need to say about the soup, very plain, no herbs or extreme flavors, just basic vegetable soup. These 3 I make on a ordinary Monday at home, no restaurant quality, sorry. As you can see, it looks very nice at first, but once again I need to be hard because this dish as well showed no real craftsmanship…. 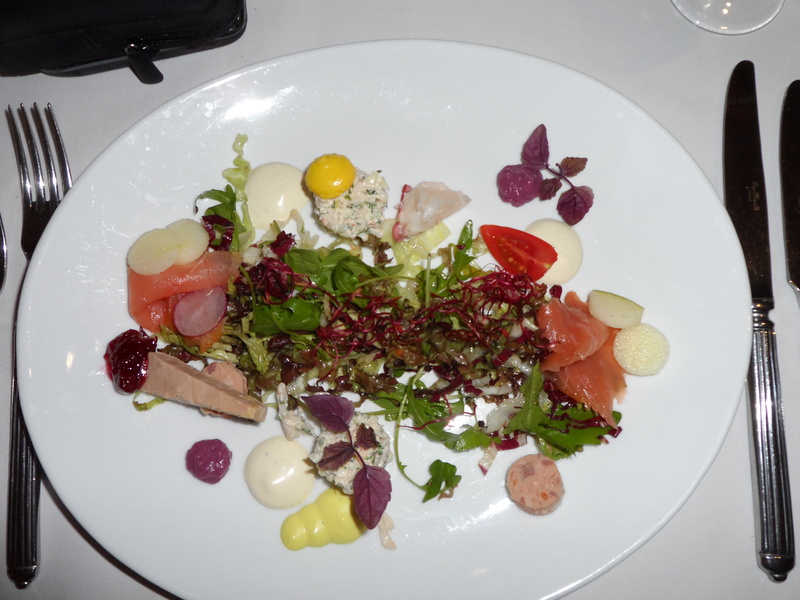 Meaning it was put together nice and looked like the new cooking style you see all around but just wasn’ t. The salad in the middle was not needed, the 4 different creams were to much. Lobster, liver, apples etc. Just did not fit together. It was assembled form some basic ingredients, still no cooking seen, sorry again. 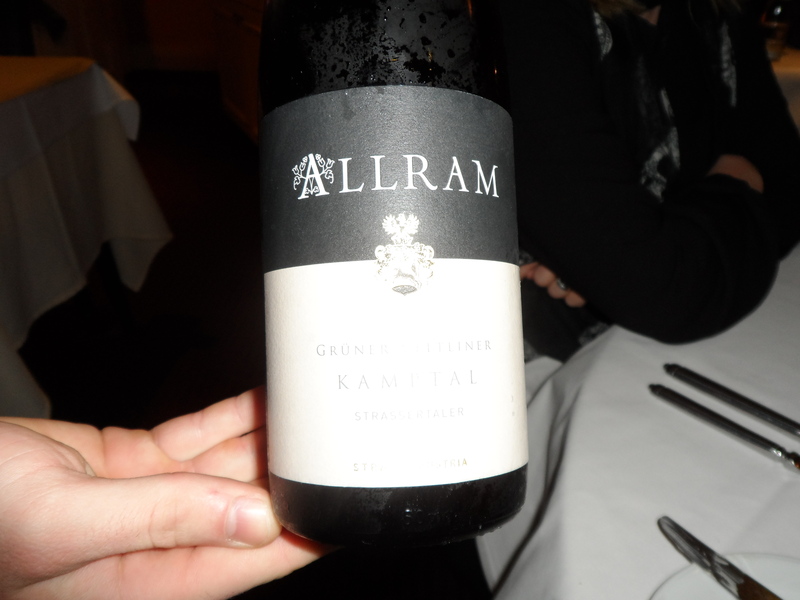 The good part was the wine they served, a nice fresh Austrian Allram made from gruner veltliner. So this far the company was good, the drinks and atmosphere were good, just the cooking was not at the same level so far. 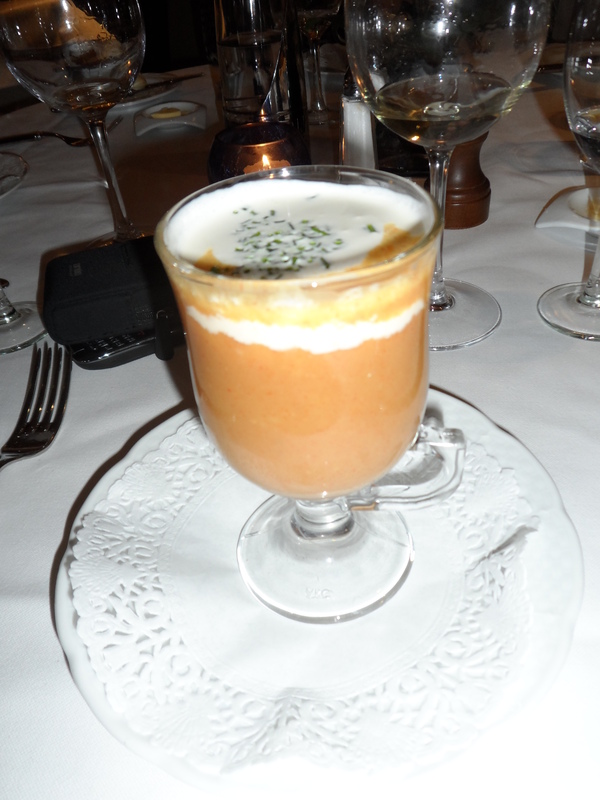 Then we had a nice Bisque as an ” in-between” dish. It was presented in a original way as an Irish coffee with fresh cream on top. 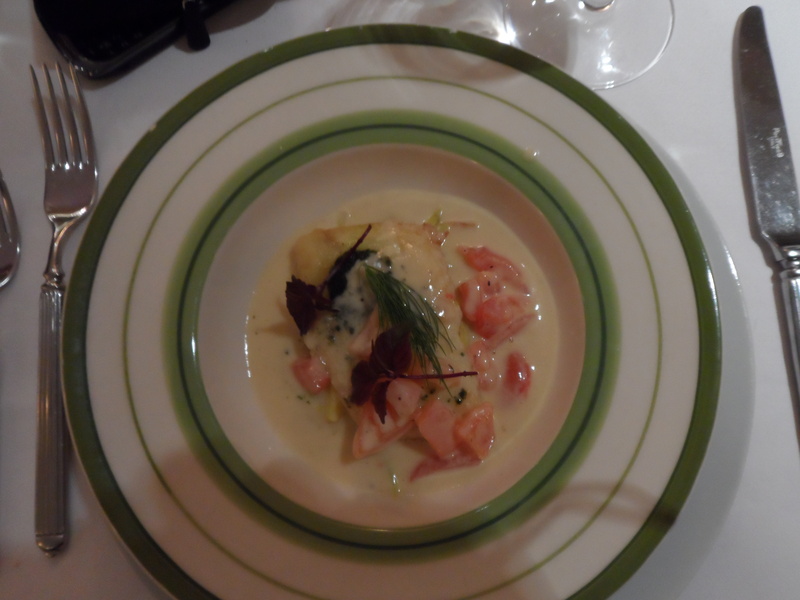 Then the third dish came to the table: A brill filet with nice julienne cut leaks and a “beurre blanc” sauce. Normally this is a classic, maybe a bit outdated but when cooked perfect always a good piece of fish. And no I have to be honest as well, because the fish was absolute perfection !!! Nice crunchy skin, little glazy flesh, perfectly seasoned and the sauce was just the way they invented it. So this single dish made me forget about the 2 1/2 mistakes from before. 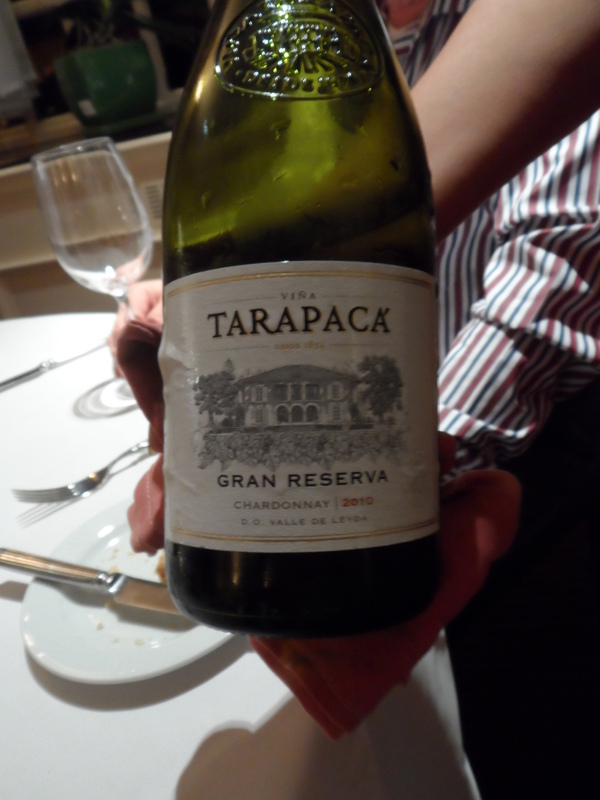 Really perfect, and what was unbelievable great, was the choice of a great Chardonnay. Good fat taste, wood and hay and a bit of salt or clay (at least that is what I tasted). Dream combination. Now with my confidence restored I was ready for the main course, Lambs leg with a nice grain mustard crust, season vegetables and potato croquesttes. 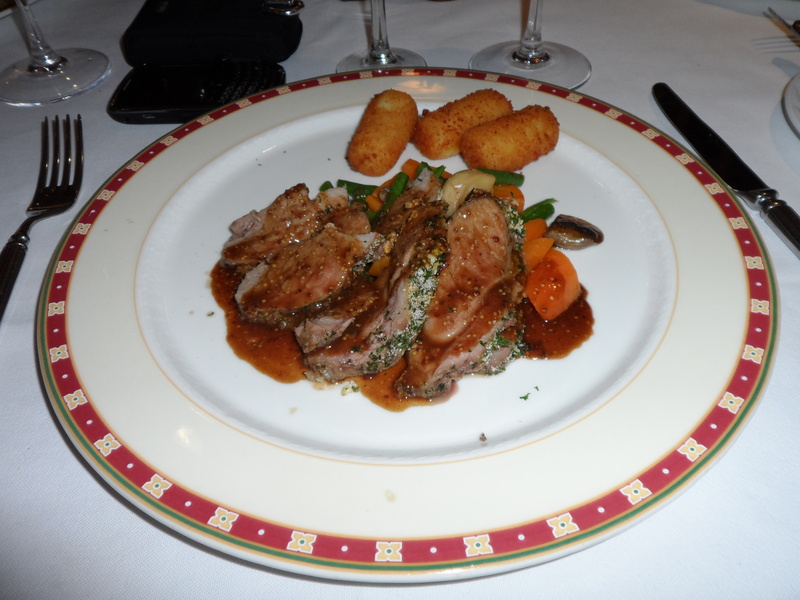 Also a classic dish but it can be great….. The jus, hmmmmm, the lamb, Ohlala so succulent to strong in taste and spices. 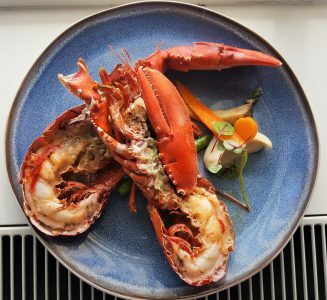 Really a WOW dish on classic scale. What I did not like, even while cooked perfect, were the traditional heap of boring vegetables, but it fits the full classic pattern. 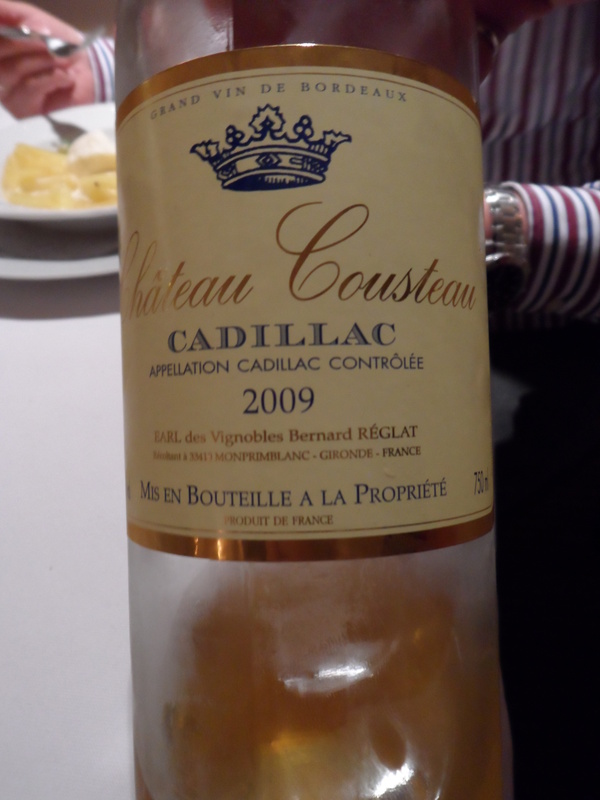 Combined with a Cabernet – Syrah which mas not so great. Too bad for this last wine, needed a stronger body for me. It looked boring, no more inspiration maybe? So old school, so home cooking. Okay the taste was very good, no doubt, but now a days people want something fr the eye as well. For me they missed a real big chance because now they finished the dinner as the started… Best wine of the evening came with this dessert so that made up a lot! It was a real Cadillac as the name said. 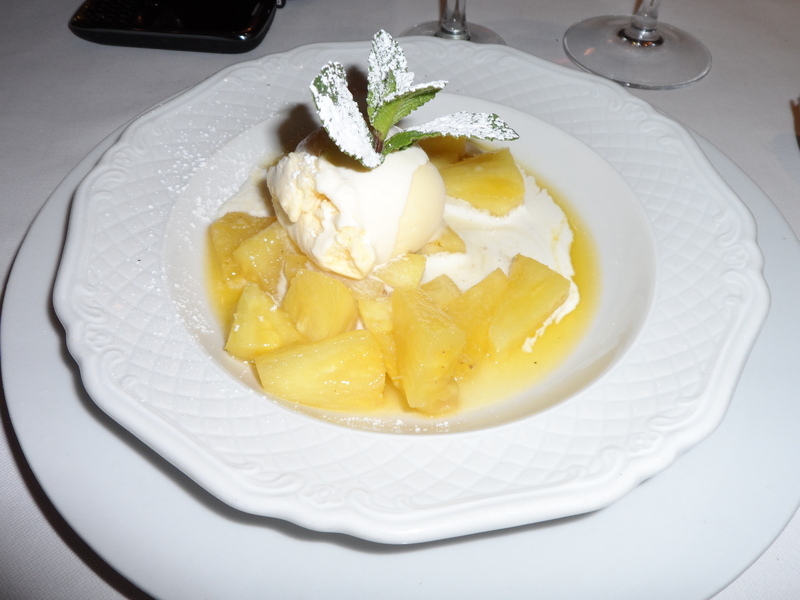 Very sweet but as it should be, perfect with the pineapple! So after a long but very cozy dinner I do not know what to say… High highs, low lows…. A few great things a few terrible mistakes, good wines and basic wines. As they say the devil is in the details, and that is something they need to work on. It was good but I am sure they can do much better!